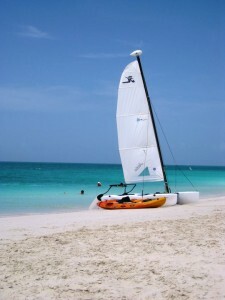 My ideal vacation; sun, sea, surf, and sailboat. You can still do all the summer things you love if you wear your sun protection clothing and use sunscreen on any exposed areas. I am able to swim for hours and sail for an hour and feel fully protected in Sun Threadz bathing suit, and swim jacket. “As for sunscreen; ingredients that indicate a product has adequate UVA protection include avobenzone, octocrylene, and zinc oxide. SPF measures protection against the wavelength of sunlight known as UVB which is the major wavelength that causes sunburn. Therefore, a product with a higher SPF value offers higher UVB protection.The SPF value does not measure the degree of protection against UVA the other portion of the UV spectrum. Both UVA & UVB rays can cause skin cancer. When choosing a sunscreen product, you should look for the designation of broad spectrum, an SPF of 30 or higher for daily use. If you will be participating in sports or other outdoor activities, you should look for an SPF of 50 or higher along with a designation of water resistance. To attain the level of protection stated on the packaging, an adequate amount of sunscreen must be used. For an average adult, the ideal amount is 2 milligrams of sunscreen per square centimeter of skin. This translates to about three tablespoons (1.4 ounces) to cover the back, torso, face, legs, and arms. Sun Threadz is rated 50+ UPF protection which equals 97.5-99+ sun protection – A relatively new rating designation for sun protective textiles and clothing is UPF (Ultraviolet Protection Factor). Unlike SPF (Sun Protection Factor) that traditionally uses human sunburn testing in a laboratory environment, UPF measures both UV radiation transmittance using a laboratory instrument (spectroradiometer) and an artificial light source and translates these results using a mathematical expression based upon the sunburn action spectrum (erythema action spectrum) integrated over the relevant UV spectrum. Sun Threadz fabric is regulated by a federal agency: ARPANSA. 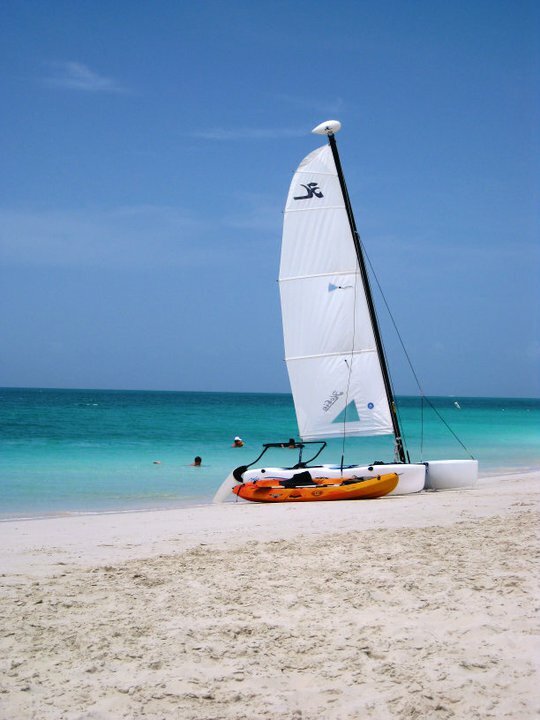 Image from my Turks & Caicos Summer Vacation! Heading to the beach and had to have your sun protection swim jacket and capris, I would not have been able to go to the beach without these pieces. Thank you, I love the fit.